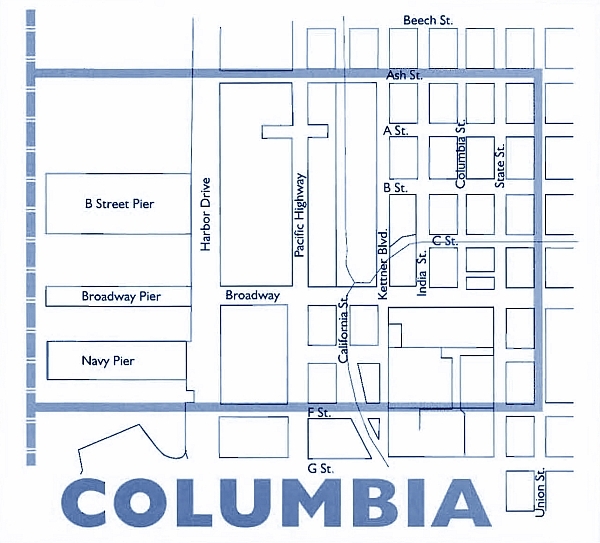 Beginning at its namesake pier at the edge of the Columbia neighborhood, Broadway is downtown’s main street with medians featuring lush foliage and lighted banners. The surrounding neighborhood of this transportation hub is largely composed of commercial development, with residential opportunities dotted throughout. The waterfront is a major segment of the North Embarcadero Visionary Plan (NEVP), which includes landscaping, activity sites and a pedestrian esplanade that accentuate the dramatic vistas and public access. NEVP Phase I is scheduled to break ground in late 2009.